Men's skincare routine has just got easier and with luxury skincare products to enjoy, you wont be disappointed. Conscious Skincare fuzz off shave gel has just been awarded "Winner" in the Janey Lee Grace awards and once you get your hands on it your know why. The whole skincare range from Conscious is individually handcrafted to offer products that are using certified organic plant ingredients which means products are free from sls, parabens, synthetic or chemical preservatives. Great natural ingredients that will care for your skin and you can be confident to know that the products you are using are cruelty free with the leaping bunny cruelty free logo present on the Conscious Skincare products. The fuzz off shave gel is suitable for all skin types and clear directions can be found on the luxury bottle. Press disc cap to open, pour a small amount onto clean finger tips. Apply a thin layer to area to be shaved, after shaving, wash off with warm water and then pat skin dry. Organic Melissa Officinalis (Lemon Balm) Floral Water. Organic Aloe Barbadensis (Aloe Vera) Leaf Juice. Xanthan Gum. Organic Glycerine, Organic Lavandula Angustifolia (Lavendar Oil), Benzyl Alcohol, Organic Cymbopogon Citratus (Lemon Oil) Grass, Sodium Benzoate, Aqua (water), Salicylic Aid, Organic Cucumis Sativus (Cucumber) Fruit Extract, Citric Acid, Sorbic Acid, Potassium Sorbate, Naturally Occuring Linalool. The shave gel instantly awakens your senses as soon as you pop the cap up on the bottle to use. A lemon scent fills the air with its natural aroma and is a really nice scent to smell especially if you shave in the morning. The clear shave gel is of a thick consistency but soon disperses when applied to face, moisturising and softening preparing your skin for a shave. You only apply to the area where you want to shave and also a little of this product covers a large area so i can see this 100 ml bottle lasting for quite some time. 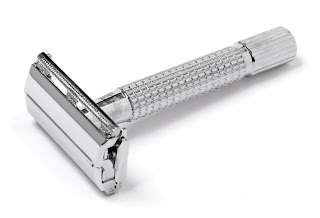 My razor glided over my skin with ease and i experienced a comfortable close shave without any razor burn or irritation. The shave gel washed off well and no residue was left but my skin was left so soft and refreshed! This is a shave gel not a foam and i have never used a gel before as i have always liked the "foam" shave but i would definitely recommend this product as the benefits for a good shave are the same but with this product you really are using a natural product that works naturally with your skin!